Hey guys! How are you today? I hope you are all well :) Today I have a piCture pOlish manicure for you featuring some of my favorite piCture pOlish shades (but how can you pick a favorite ahhh). The colors are Lizzie, and Gravity. piCture pOlish always has amazing formulas that go on super smooth and these polishes are no exception to that rule they go on fabulously. Here I simply painted my nails with Lizzie (three thin coats) and then proceeded to use painters tape to block off sections on the accent nails to create the waved effect. 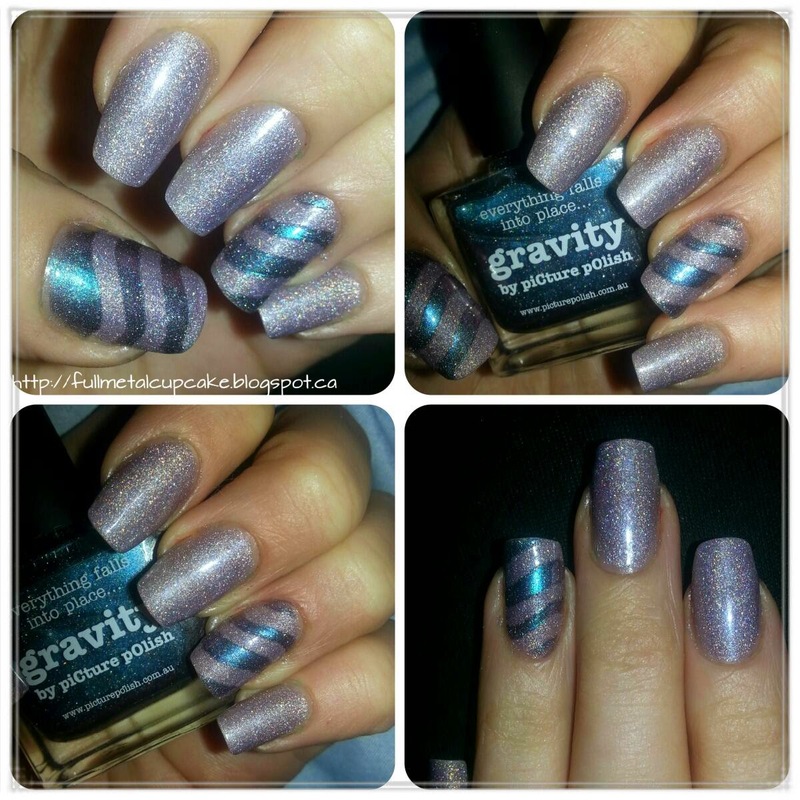 I then painted over the tape with Gravity to create this two toned manicure. I hope you all enjoy it and I highly recommend these polishes. If you don't already own a piCture pOlish or two then you should really consider picking some up :) Thanks for dropping by again guys, I hope you enjoyed the post, don't forget to subscribe! Really pretty! I love the sparkle. Thank you! I really love using piCture pOlish, they are always so smooth and brilliant.